Italtin was founded in 2008, in its first headquarters in Carvico (BG), by Mr. Giuseppe Mariani an entrepreneur from Bergamo. The company quickly ranks among the market leaders in the production of tin plate packaging. Italtin Invests in the purchase of new production lines becoming an international benchmark thanks to its exclusive and highly professional service. 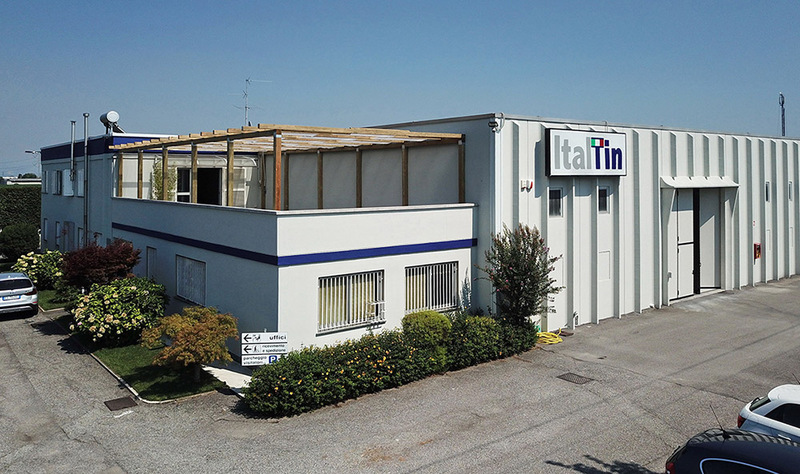 In 2011 Italtin moved to a new and larger headquarters in Bottanuco (BG) located in an area of 6000 square meters, to be able to satisfy several storage demands, having a maximum stock capacity of 50 trucks. Italtin continues its growth through the training of its staff so that all employees can be more competent in their own job, in order to have always an up to date production system. “The customer’s needs and the quality of the final product are the priorities of Italtin which, to obtain an always excellent result, continues to invest in innovative technologies”. Innovation and research, quality and sustainability are company values. Nowadays, Italtin is a leader in lithographed tin boxes fields and offers the market a 100% made in Italy product. Production flexibility combined with faster decision-making let ITALTIN having efficient production times while keeping high quality-production standards.